We won! The Albuquerque City Council voted on the plastic ban late last night. The council amended the ordinance heavily, including an amendment to take out straws and plastic containers from the list of regulated items. The other significant amendment for restaurants was to remove foodservice establishments from the list of applicable retailers. This left an ordinance that bans plastic bags in grocery stores. Please thank Councilor Ken Sanchez for offering the amendments and also thank Councilors Brad Winter, Trudy Jones, Don Harris and Cynthia Borrego for voting in the affirmative on the amendment. Click here to send a thank you message to the city council for including considerations for restaurants in the plastic ban. The NMRA worked hard to get this outcome. We met with city councilors and key community leaders including the Executive Director of the New Mexico Recycling Coalition. We have talked with many local restaurants and leading restaurant suppliers. And we contacted the City of Santa Fe regarding their current green ordinance. What we learned from this process is that many Albuquerque residents believe that there is a problem with single-use plastics and they believe restaurants are a major contributor to this problem. Just look around and you will see restaurant waste filling trash bins. Our industry should work towards being more conscious of the environmental impact of our waste or we will have more bans to contend with in NM. Straws are a first step we can take to mitigate the need for more bans. I would like to take this opportunity to ask all restaurants to consider offering straws on request only. This will save you money in the long run and keep this from coming up again. Also consider offering plastic or paper straws. Styrofoam is the other item that the proponents of these bans love to hate. Consider changing your Styrofoam containers and cups to a more environmentally friendly product. If we all take these measures on our own we won’t be subject to these costly governmental bans. Bill proposes: LIMITING THE USE OF PLASTIC SINGLE-USE CARRYOUT BAGS; LIMITING THE USE OF PLASTIC SINGLE-USE STRAWS; LIMITING THE USE OF POLYSTYRENE SINGLE-USE CONTAINERS; CREATING AN ‘ALBUQUERQUE CLEAN & GREEN BUSINESS’ PROGRAM; PROVIDING FOR ADMINISTRATIVE REGULATIONS TO CARRY OUT THE PROVISIONS. Plastics Ban to be Heard on Monday April 15! Albuquerque City Council members introduced a bill to prohibit single use plastic bags, plastic drinking straws, and Styrofoam takeout containers. It is one of the most restrictive bans in the country. This ordinance is scheduled to be heard Monday, April 15, at 5p at Albuquerque City Hall. Please arrive by 4:30p to sign up to testify against this bill. We have been working to exempt Albuquerque restaurants from this ban, identical to what the City of Santa Fe has done. Additionally, we are recommending a phased-in approach to include only providing drinking straws upon request. Your attendance is needed! You make a difference! Please send a message to city councilors, their analysts, and Mayor Keller by clicking on the below button. By January 2020 all restaurants would be prohibited from using single use plastic bags and polystyrene containers. Plastic straws would be prohibited (except by request to those with physical or medical needs). Restaurants could charge a fee of up to 10-cents per bag or container issued to customers to offset the additional expense for the biodegradable container. It would be a misdemeanor violation for every day the business is not in compliance with the ordinance. Any city employee authorized to enforce codes and ordinances will be able to enforce this ordinance. Contact your city councilor NOW! Here is a link to contact all city council members. Councilor Pat Davis has recently called out the New Mexico Restaurant Association on numerous occasions for not giving him “data” on the proposed ordinance banning plastic bags, straws and containers. Besides that not being the job of the restaurant association, we have requested numerous times that the Councilor provide specifications for each of the three banned products proposed in the ordinance so that we could get the correct data to him. The reason councilor Davis can’t get that information to us is that this badly written ordinance does not specify exactly what is banned and the ordinance in-fact bans all single-use plastic bags. That means that all garbage, produce, dry cleaning, bulk item, pet waste and yard waste bags are banned in the current ordinance. The restaurant association has been visiting with a key community thought leaders including Sarah Pierpont, Executive Director at the New Mexico Recycling Coalition. We also have spoken with local member restaurant owners and a leading restaurant supplier. We have been in contact with City of Santa Fe employees regarding their current green ordinance. I am pleased to report that after reviewing the City of Santa Fe ordinance, it has definitions and smart exemptions for restaurants. Our capital city exempts bags used by restaurants to take away prepared food for food safety and sanitation. According to the recycling coalition, from a solid waste perspective, these single-use plastic bags from restaurants make up a very small percentage of the single-use plastic bags in general, unlike grocery stores. We believe we can make a big dent in the use of plastic straws by including in the ordinance the restriction of restaurants giving straws on request only. Paper straws remain difficult to use, expensive and hard to come by, we recommend a phased-in approach to include only providing drinking straws upon request to begin. 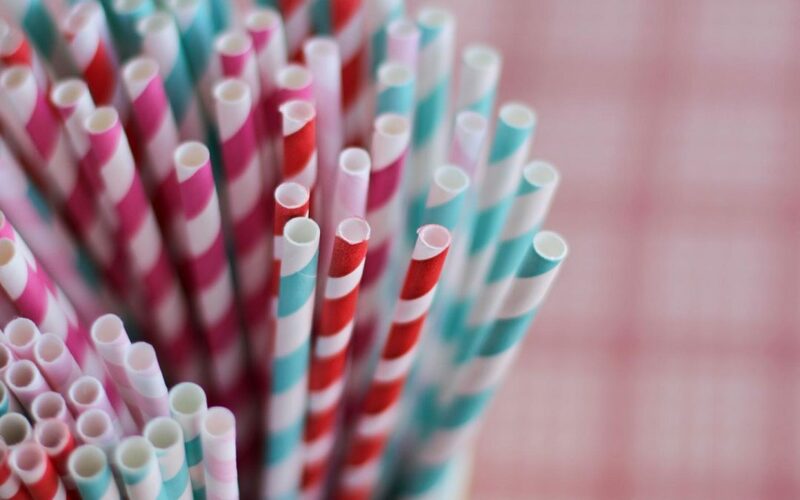 There are not many vendors available that can fulfill paper straw orders completely or cost effectively, or in a timely manner, due to their high demand in other US coastal cities. There currently is neither a safe nor cost effective alternative for restaurants to use for takeout containers. Red chile enchiladas and other New Mexican food include sauces, oils, and liquids not found in other foods. In a cardboard box these liquids soak in or worse soak through to the point that clean-up is impossible. Take-out containers, both plastic and paper, are not recyclable or compostable because they have been soiled with food, which contaminates the item and the recycling process. Although we can’t get information from the city, our understanding is that city recycling or compostable infrastructure is not available at this time for any of these products. In some cases, when an item is placed in a recycling container that is soiled with food it has the potential to contaminate the entire container, resulting in unrecyclable waste than the container itself.